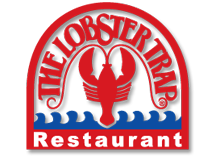 All of our traditional dishes such as the Lobster Bisque, Crab Legs and Fresh Lobster are included in our expanded menu which now includes New York AAA Striploin, Filet Mignon, Rack of Lamb, Chicken Breast, Fresh Atlantic Salmon and much more. Don’t miss out on fresh Oysters and a wine selection perfect for pairing with our menu. Enjoy all this based on our original menu, updated with fresh new choices by Chef Sathiya – the Tradition Continues!